As a pet mama to a handful of cats - read: five temperamental little fuzzballs - and a gigantic black Lab, I've quickly grown accustomed to cleaning my 800-square-foot apartment every single day. Did my dislike for cleaning dissuade me from taking in two more homeless kitties two months ago? Nope! Although pets are nowhere near as messy as human children, my checklist is still pretty long when I get home from work every night. I have to walk and feed the dog, clean out the litter boxes, feed the cats, and usually dust and/or clean up whatever mess my little critters made throughout the day. (My cats' footprints are always everywhere!). 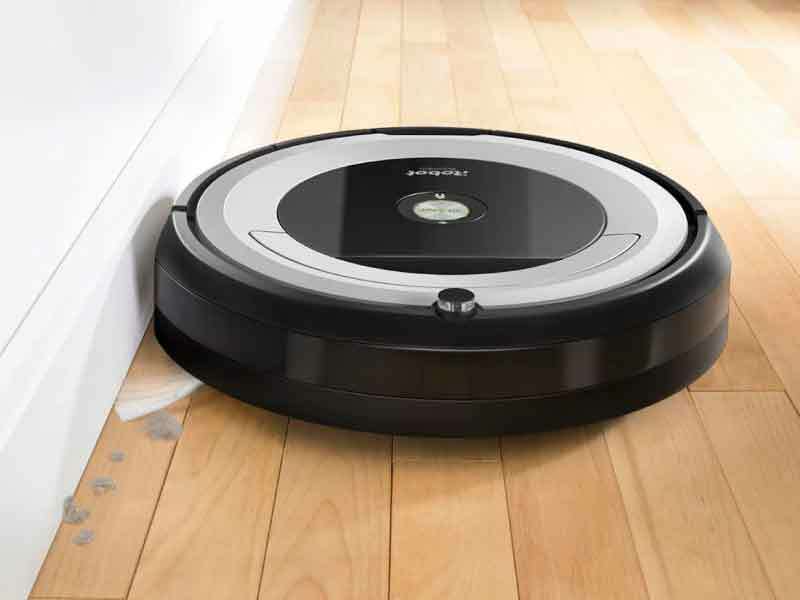 I finally caved and tried out two products from iRobot, the Roomba 690 ($297) and the Braava Jet Mopping Robot ($179), and I'm obsessed. I was skeptical at first, but after using them, I'm not sure how I lived without them. As much as I expected cleaning to take over my life (thanks to my furry friends), these nifty little robots made my routine a million times easier. You can use an app to run it. 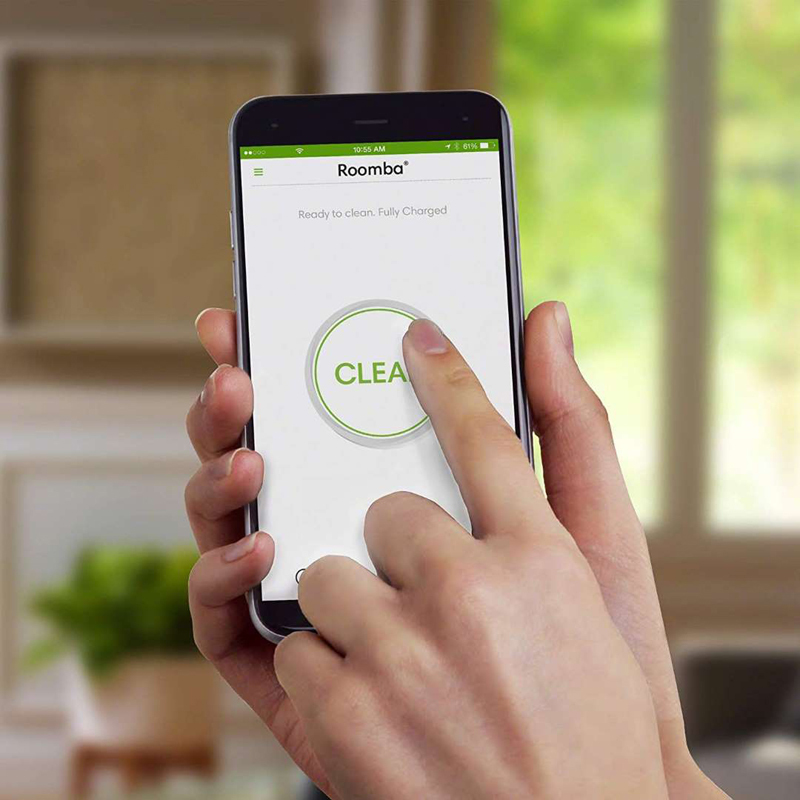 One of the best parts of owning a Roomba is the fact that you can control it from your phone if you're hanging around the home (and for families with Google Home or Google Assistant, you can control the Roomba from anywhere!). That means that while I'm cowering in fear under my blankets watching The Haunting of the Hill House, my robotic vacuum can get to work. With one touch of a button, Roomba leaves his "home" station and zips around my apartment, going from hardwood floor to carpet and sucking up all the pet hair. It's truly a dream. It enables me to get more done, too. It cleans the floor while I'm emptying the dishwasher, making my house tidier and making me feel accomplished! iRobot products are weirdly smart. 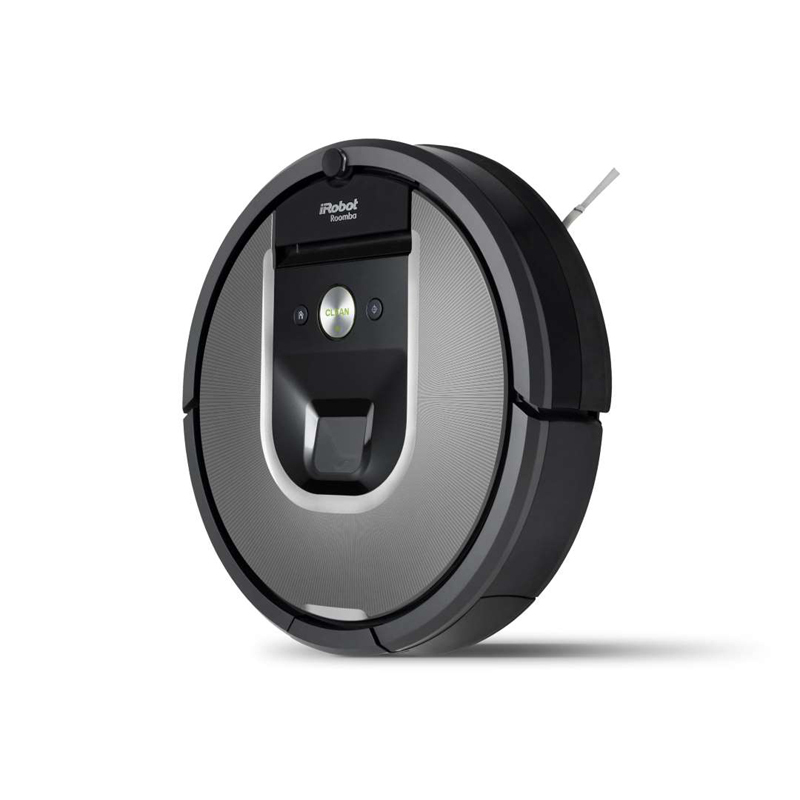 Before I unboxed my precious Roomba, I was admittedly doubtful about how helpful a robotic vacuum could be. How does it know where to go when it's cleaning? What if it gets stuck? And how does it get the dust bunnies in those pesky corners? After taking the 10 minutes to download the app and set up my new BFF, I read the informational packet and learned just how smart the products were - the machine has sensors, meaning it can tell where your furniture is, and it knows to go especially hard on high-traffic areas of your home. Genius! Another surprise? 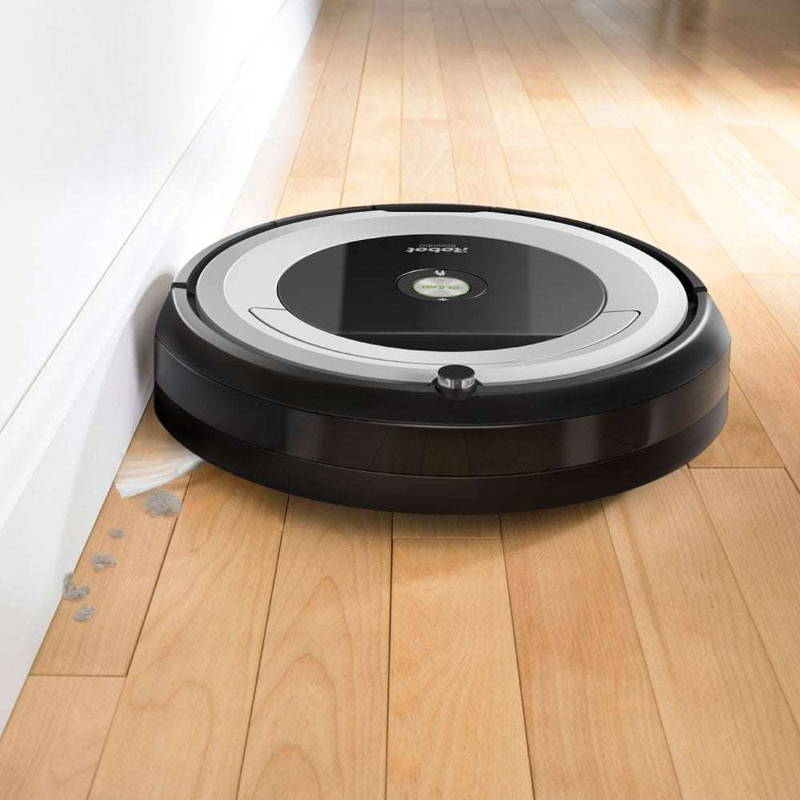 The Roomba has tiny, quick-moving brushes on the bottom that do the absolute most to get dirt out of the corners of your room, allowing it to really get every nook and cranny. I was surprised at how infrequently I had to use my dust buster once the Roomba was done running. 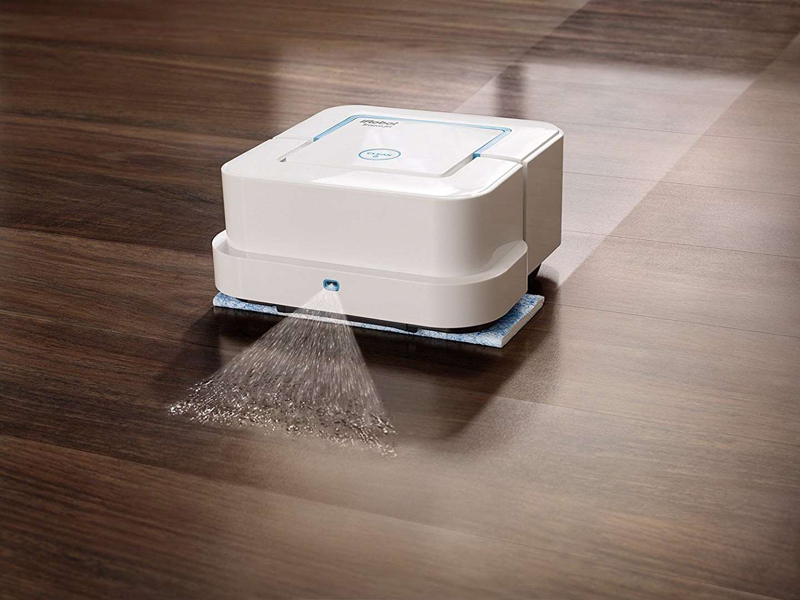 The Jet Mopping Robot eliminates tough stains. There's something oddly calming about watching this compact little mop cruise around your space. It works like a Swiffer, minus the human aspect. All you do is put a pad on the bottom of the machine and watch it go. It doesn't matter where the stains are. 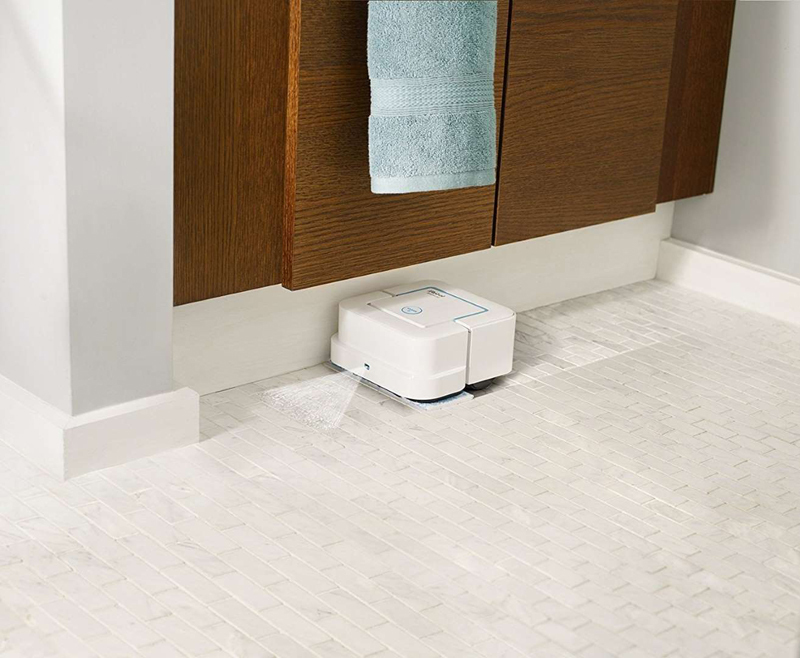 The Braava Jet Mopping Robot can transition from different surfaces seamlessly. It can tackle huge messes on tile, hardwood, and even stone. The mop has several settings, so it's superfunctional. This smart device can be set to wet mopping, damp sweeping, or dry sweeping, depending on what type of mess you're looking to clean up. I tend to leave the mop on the dry sweeping function if I need to get some cat litter off the ground. But if I've already run Roomba through the house once, I'll switch this to the wet mopping setting to get various stains off my floors, especially in the kitchen. Who knew I was such a messy cook?! Using iRobot products gives me more time with my pets. The bottom line? These iRobot products are the epitome of "life-changing." While I still have loads to do in order to keep my house from smelling of cats and being covered in hair, delegating time-consuming chores to these two machines have left me feeling less overwhelmed when I walk through the door. Added bonus: more time to snuggle with my gaggle of pets. Talk about a win-win!